The list of objects included in the job contains a Veeam Agent computer instead of one or several VMs. Detailed statistics become available in the Veeam Backup & Replication console after the Veeam Agent job session completes. 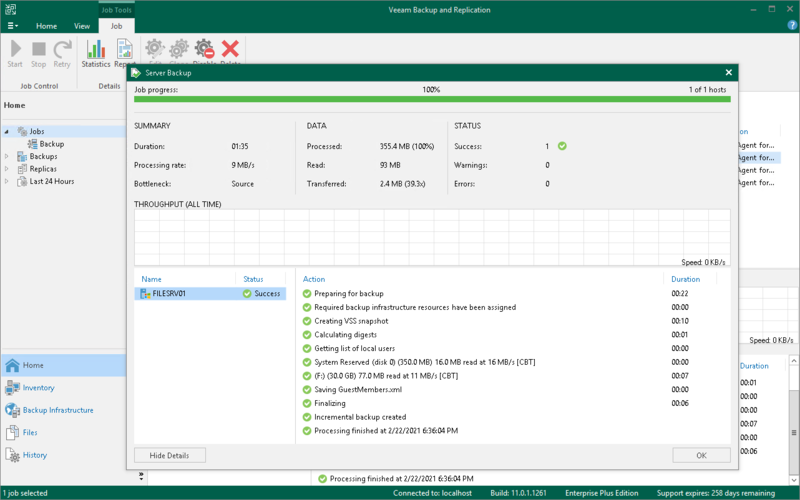 For currently running sessions, Veeam Backup & Replication displays duration and the name of the Veeam Agent computer only. In the working area, select the necessary Veeam Agent backup job and click Statistics on the ribbon or right-click the job and select Statistics.